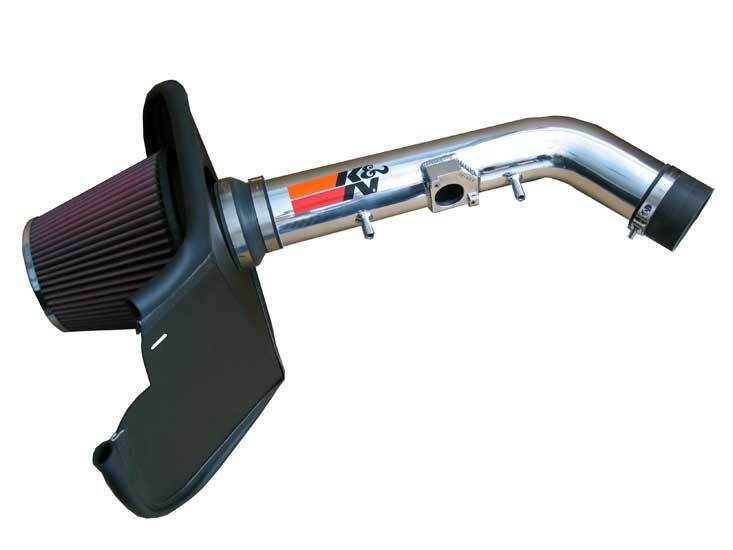 K&N 77 Series High Performance Air Intake Kits for trucks and SUV’s combine outstanding performance and under-the-hood style.Many consumers will opt for the visual appeal of these kits. The metallic finishes are bold and beautiful.Polished finish kit parts end in “KP”.Grey finish kits end in “KG”. Restriction can exist BETWEEN an air filter and the engine reducing the benefit of a K&N Air Filter alone.The weakest link in the airflow “chain” robs a vehicle of its natural horsepower.Often that weak point is the factory air path leading to the Engine.K&N 77 Series High Performance Air Intake Kits virtually eliminate air path restriction by replacing the air filter and the entire air path to the engine.The aerodynamically engineered aluminum tube drives a massive amount of air into an engine, which translates into POWER. The K&N 77 Series High Performance Air Intake Kits are truly hand-crafted pieces of art. Available with polished aluminum or gunmetal grey powder coated tubes, these kits are sure to please in every way.They come with an oversized High-Flow conical air filter designed to provide increased surface area and dust capacity.This extra surface area provides even more airflow at lower restriction than a standard K&N O/E replacement filter that is limited to the size of the factory air box. The oversize air filter also captures more dirt increasing the service life before each cleaning is required (up to 100,000 miles).Most 77 Series Kits include a heat shield designed to seal against a vehicle’s hood to isolate the air intake from engine heat. Cooling the air that travels into the engine can increase horsepower all by itself.All our metal intake kits use adapters made from high strength materials such as silicon and reinforced nylon and ensures long life.These kits come standard with powder coated steel brackets.